UAV technology is quite developed today, and as a result of this, there is a broad range of great drones on the market. Speaking of which, most people usually use these devices only for fun, to enjoy flying and to take photos or make aerial videos. However, drones could also be used to make a profit. Are you curious to find out how to make money with a drone? We believe you are! The possibilities to make money with drones are quite numerous if you are creative enough. 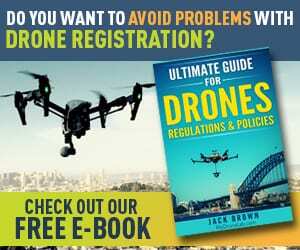 However, you should keep in mind that you have to explore the local regulations regarding the drone flying before you start, since there are certain limitations in every country. 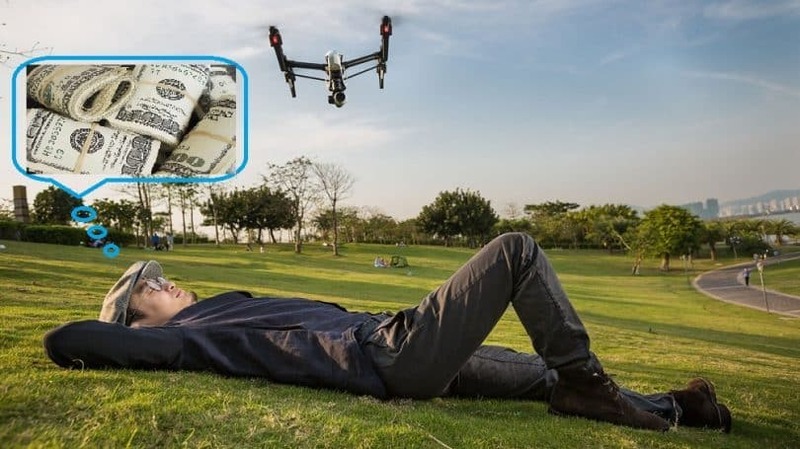 In the following text, you can read about how to turn your passion into a lucrative business and earn money with your drone in 10 different ways. These are some of the most common ways to make money flying drones, and they are based on aerial videos and photos, except for delivery jobs. One of the most common ways to make money with drones is selling the aerial pics and videos to people. Drone photography can be a quite profitable business and it is very popular nowadays. However, if you want to do this job, you must have a drone that is equipped with a gimbal and a quality camera which is capable of making crystal clear high-quality videos/photos from the air. For instance, you can use a drone that is equipped with a GoPro camera and takes 4K Ultra HD videos. These drones are suitable for both outdoor and indoor footage. There are two options when it comes to this business. The first one is to find the attractive and unique places like various places of outstanding natural beauty with nice landscapes, tourist attractions or some popular landmarks. 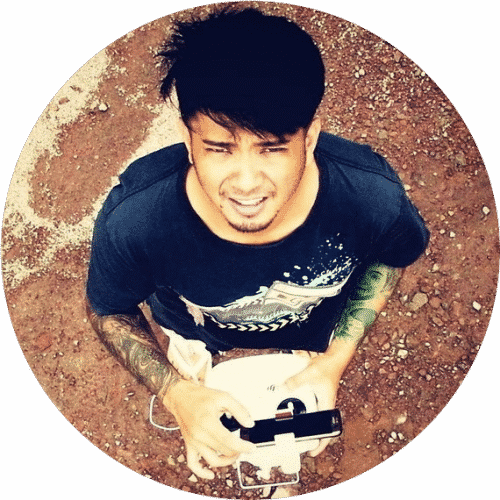 On the other hand, you can make custom aerial footage and take photos by order. Where can you sell the products of your work? Find appropriate places such as beach resorts, golf courses, amusement parks, or city squares. Even better, you can advertise your pictures and videos online. For the beginning, you should start local and show your prospects to people in order to gain customers and credibility. Another possibility to earn money with aerial footage is to launch your own YouTube channel and post the videos captured by your drone. Publish your drone footage on your YouTube channel and be a part of a partnership program of the portal in order to start earning money online. This way you can gain numerous subscribers. But of course, there are other ways to turn a profit from your drone. For instance, you can increase traffic to a certain website or online store, sell in-video advertising placement, promote your products, and more. 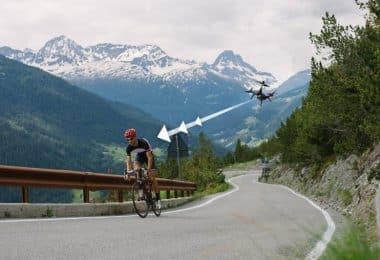 Small UAVs, like the drones, can take photos from above and thus record terrestrial places that are difficult or impossible to reach and measure from the ground. Today’s drones have great flight capabilities and can be remotely controlled, which makes them suitable for aerial surveying in the most difficult areas. Therefore, they replaced helicopters and other aircraft in surveying. Aerial surveys have application in different fields, including topography, digital mapping, archaeology, feature recognition, for GIS applications, and so on. Actually, a lot of professional organizations around the world have a need for aerial surveys, and this is a good opportunity to open a private company and offer services in aerial surveying. So, if you want to earn money from surveying, you have to offer the best quality photography services to your clients. Of course, aside from aerial photography, you also must be skilled in surveying and have a specific license to deal with this job. Wedding photography and videography is a popular and, most importantly, very profitable business. The competition is really tough in this field, and therefore, you have to offer unique wedding videos and photos taken from an awesome perspective. People want to make outstanding photos of their weddings that will remind them of this great day forever. Why not use your drone for this purpose? You need to fly your drone closely with the venue. Do not fly a drone directly over the guests because you can hurt someone by accident. Find the best perspective to take photos or shoot footage while flying a drone. Chose an outdoor wedding venue at a spectacular location where you can profit from the gorgeous scenery. Avoid recording towards Sun, as well as dark and the similar places where the photos could be blurred. Offer your clients both aerial videos and picture at the same wedding. Thus, you are going to be different from other wedding videographers/photographers and “steal” their clients. All you need to do is buy an advanced small drone and a high-resolution camera supported by that drone, and practice every single day. If you are a beginner in this craft, you should start as a secondary videographer or photographer, and do a few weddings on a beginner’s discount. The next business that can help you with making money is reselling. 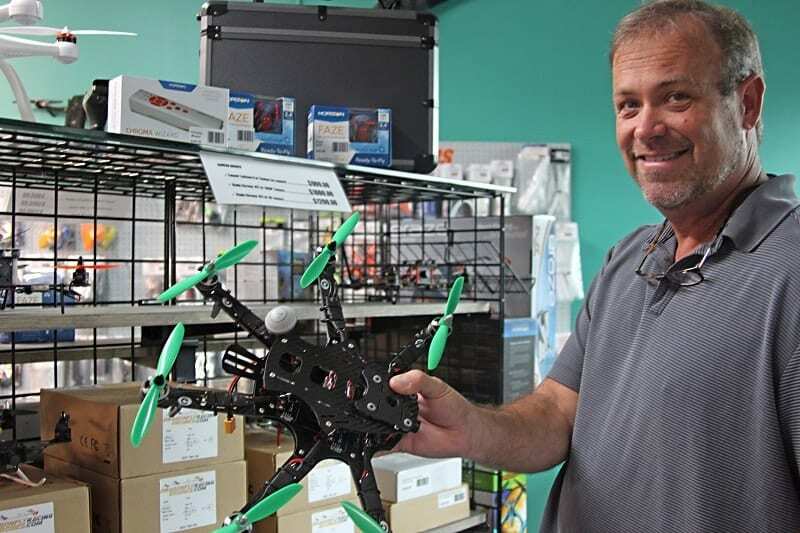 In fact, all the things that apply to the reselling of other goods also go with drones. You should purchase the popular new models at one price, and lately sell them at a higher price to your customers. All you need to do is find a supplier who sells drones at affordable purchase prices. Take a look at the drones in popular online stores such as Amazon and Ebay. It looks simple on first sight, but you will have a lot of costs and fees to open and maintain your store. The same goes with online stores, but the fees are a little bit different. So, you must bear that in mind that when thinking of opening a shop for this purpose. If you already have a store for electric devices, gadgets, computers, and the like, why not add drones in your offer? This is a big advantage because you already have an experience in such a business. On the other hand, you can have a specialized store for drones, where you will sell these UAVs as well as all necessary equipment for them. Just another tip: if you are thinking of a rental business with drones, forget it. These aerial devices are vulnerable to damage, and you will have problems with your clients. Many utility companies have used helicopters and airplanes to inspect electrical lines, remote substations, pumping stations and the similar facilities for years. It was dangerous for the pilots and very expensive, too. In the recent times, drones come into play when it comes to inspection jobs. 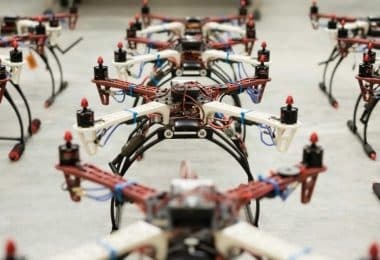 These small unmanned aerial vehicles have been replacing other aircraft as they are equipped with powerful cameras and video transmitters, and thus, suitable for this job. They can quickly and easily reach the water or gas outlets, and make quality video footage. 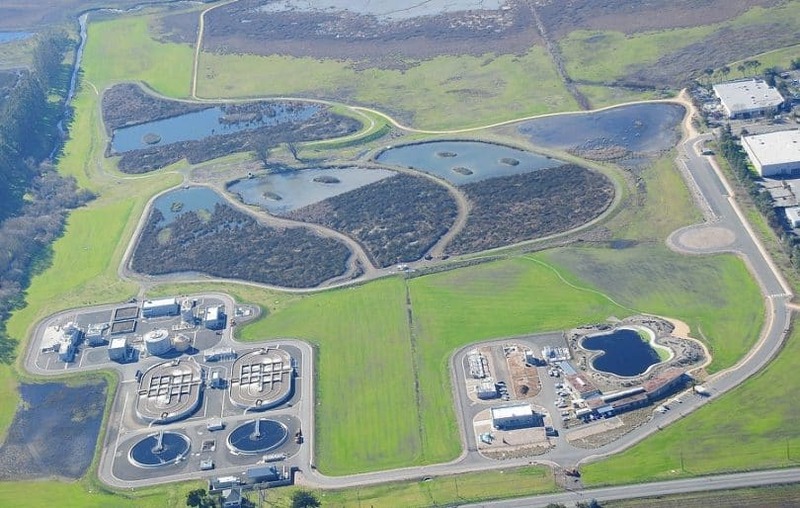 This is of great help for utility companies during the regular checkups and damage assessing. 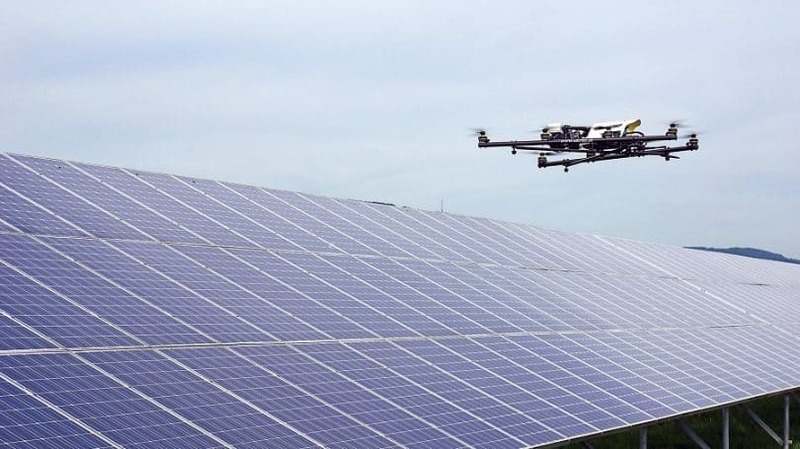 Besides the utility companies, other companies also need drone operators for the same purpose. Just to mention construction and insurance companies. You can also make money doing various inspect jobs for different companies worldwide – this is another way to use your drone smartly. For instance, a well-equipped drone with a 4K camera may be of help to asphalt repair and resurfacing companies to inspect their prospects’ properties. 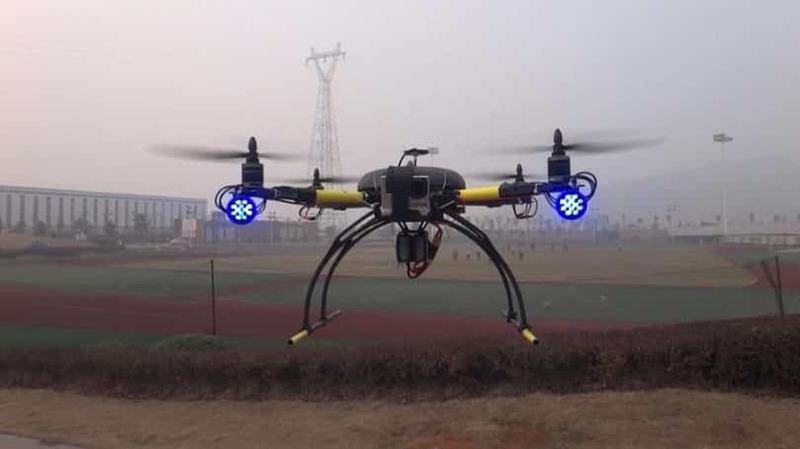 Also, today’s small drones are used in power line inspections, cell tower inspections, bridge inspect jobs, gas pipeline and oil inspections, roof inspections, etc. All these jobs give you a great chance to earn good money using a drone. So, if you want to do such jobs, you must have one or more advanced drones that are higher performing and more stable than the simple commercial quadcopters. Therefore, you need to invest in the expensive drones and the additional equipment, but the payback period is quite short if you manage to develop your business. In addition, you have to be well trained in RC flying and aerial recording as well. Yes, the drone is a perfect tool for effective advertising. 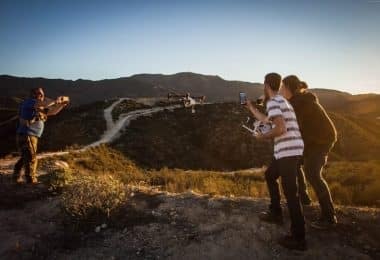 If you are an entrepreneurial filmmaker with a great experience in flying drones, you can make money working on advertising the real estates, resorts, and hotels. The aerial videos captured by drones may sell private estates more quickly and affect the selling price. Therefore, the real estate agents often hire UAV video companies when advertising real estates for their clients. If this sounds interesting to you, you might also check out our article about the best drones for real estate. 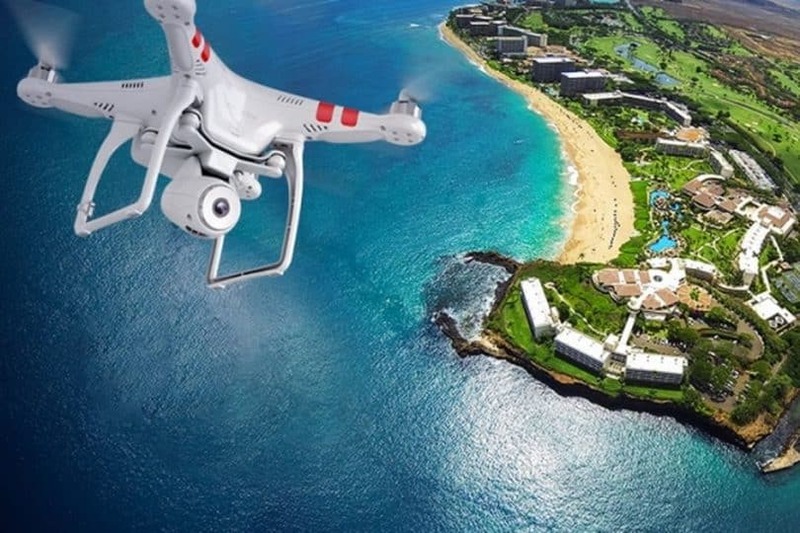 Aside from real estate videos, small drones with high-resolution cameras are also used for aerial video footage of hotels and resorts alike. 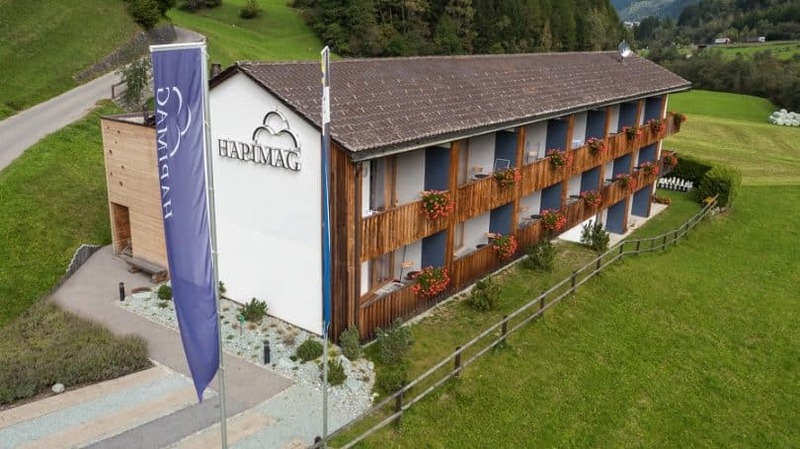 It is a good way to show off and advertise a certain hotel, for example, that is located in a perfect area of a property. This way, the particular resort hotel will be more attractive for the visitors and potential customers. In addition, you can earn money working on low altitude banner advertising. This is a good commercial opportunity for drone owners. How to do this? You should mount a camera on the bottom of your drone and fly it over an appropriate place. While flying a drone, it sends the video promotional feedback to a monitor that is attached to its controller. When you want to sell something, you must have a good advertisement and stand out from others on the market. Thus, it is very important to make an impressive ad that will attract the attention of people. Today, many travel marketing agencies require unique photos and videos when advertising something. Grab this great opportunity to earn money! Another way to make money with a drone is to use it for different delivery purposes. Drone delivery is an innovative solution in this job. You should offer drone delivery services to companies and organizations that need it. Many companies (like Amazon, AliExpress, etc.) 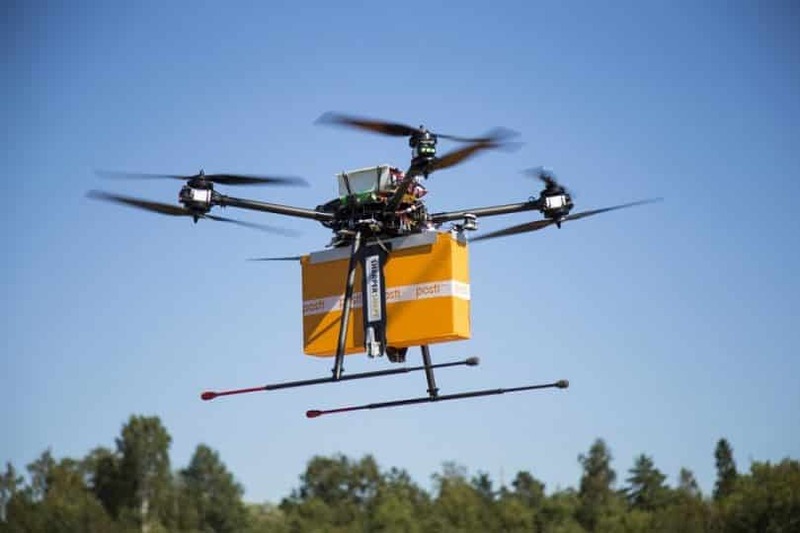 already use UAVs for this purpose, incorporating deliveries by drones in their services. 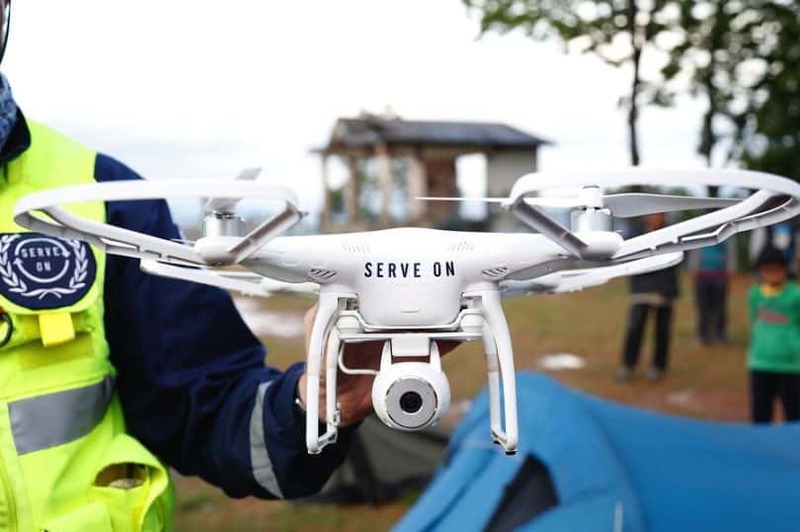 Also, medical facilities, national institutions, and charity organizations worldwide use drones when delivering various supplies in hard-to-reach places. Some locations are unreachable for ground vehicles, and there, done deliveries come into play. Moreover, the trips by ground vehicles could be too expensive sometimes, or difficult due to logistics in some areas. You can deliver a variety of things in this way. Such a delivery is fairly quick and very safe as well. Unfortunately, small commercial drones cannot deliver heavy loads while flying because of their low weight. Keep this in mind if you want to offer this service. However, the larger drones can be used by various humanitarian services to safely deliver food, water, medicine, and so on. For a better insight on this topic, we suggest taking a look at our article about delivery drones. Many large companies around the globe already hire drone pilots to do air surveillance in some areas. In fact, it is more cost-effective to employ one person who owns a drone and can do quality surveillance than to pay for constant camera surveillance. In addition to surveillance, drones also have practical applications in aerial monitoring and private investigation alike. The small unmanned aerial vehicles make these jobs easier and less dangerous. In comparison with other devices that are used for surveillance, drones are less noticeable and can reach almost every location. For aerial monitoring and surveillance, you must have an advanced drone with a 4K camera which is capable of making HD videos and photos. Even better, thermal imaging cameras too. These cameras are even more effective in some circumstances for aerial surveillance and monitoring. This can be a very profitable business. For example, the professional surveillance operators in the United States earn up to $50.000 per year, and if you think that you can be one of them, then find out more on this topic by reading our article about surveillance drones. Drones can also be of great help for search and rescue in affected areas. Traditional search methods, which use helicopters and dogs, are unsuccessful in some cases and rescuers often can’t find the missing men. On the other hand, drones have the ability to notice missing people, or whatever you are searching for, from the air with ease. Therefore, drone operators are often employed for disaster relief to provide video services. The freelance UAV pilots are well-paid for this job. These smart remote UAVs can provide video footage to public safety officials in real time, and thus, save many lives in areas affected by natural disasters. Therefore, they are widely used today in areas affected by hurricanes, tornadoes, flooding, earthquakes, and the like. They are suitable for huge inhabited areas which are too dangerous or even impossible to reach by land. It used to be very difficult to find and save people in such disasters, but nowadays, it is much easier with the use of drones. Sometimes, you don’t have to work this job for money. You can help other people and save affected people’s lives with your drone in rescuing and be humane. 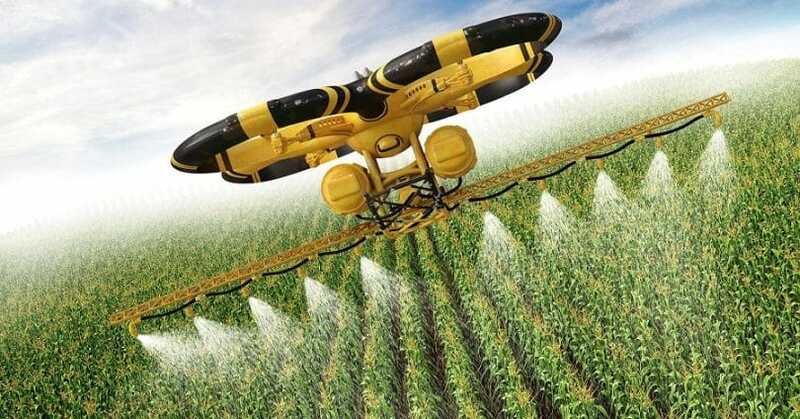 At last, you can make a profit using a drone in precision agriculture. Drones are very helpful for crop surveillance in agriculture because they significantly reduce the costs and time required for such a job. When using a drone in precision agriculture, it must be equipped with a specialized camera for the infrared video that can capture the specific wavelengths. These cameras produce specific contrasting colors while shooting, and according to these recordings, the operators can see the overall health of crops in a certain area. Also, drones help farmers in verification and problem diagnosis in their fields. In some cases, they can also be used in delivering spot treatment. All these operations can help farmers reduce plant damages, cut costs, and have the higher yield. On the other side, drone pilots can make a lot of money working for them. There is a mutual benefit as both sides get to profit from this deal. As you can see, there are many ways to turn a profit after acquiring a drone; you just need to put your mind at work. If you know other ways and we didn’t cover them, please don’t be shy. Let us know about it in your comments!